On a warm midsummer evening members of the Community, the Board of Directors and Putney Co-op staff gathered together at Next Stage to enjoy a wonderful couple of hours of wine, conversation, great cheese and snacks while reviewing the official plans and drawings for our brand new Deli Expansion! A heaping bowl of fresh strawberries with cream! 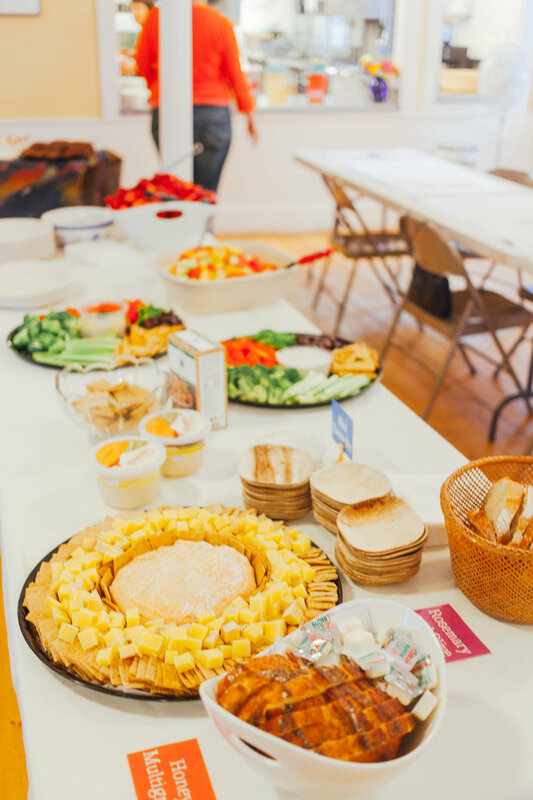 The community chatted and savored the many treats available while also connecting over the highly anticipated Expansion which breaks ground on August 6th of this year. The project is being built by Greenberg Associates Architects and features both a new expansion of the Staff offices, as well as a new large kitchen and Deli area and greatly increased seating both indoors and outdoors. The Expansion also adds two new bathrooms, a cash register solely for Deli purposes, new coolers and displays for takeaway products and an expansion to the Hot and Cold bars currently in place, as well as greatly increased storage, cooking and baking spaces. Community members enjoy the many treats prepared by our dedicated Deli staff! General Manager Robyn chats with guests about the new plans! Community member and owner of Antidote Books Ruth Rodriguez won our special Putney Co-op raffle for attendees of the party!